Need your daily fix of free apps? We’ve handpicked 21 iPhone, iPad and iPod touch apps that are free today only. 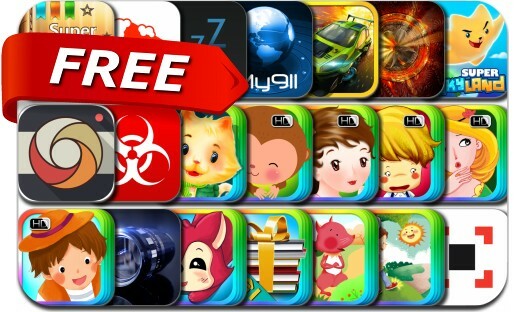 This apps gone free alert includes Luna Bears, Car Club: Tuning Storm, LensFlare, Binaural Sleep Beats - Insomnia Sounds, Barcode, Sixth Seal, Mouthy, Super Readers, My911, The Walking Dead: Zombie Cam, Classic Fairy Tales 10 in 1 and many others.